An abandoned baby boy was left at Mt. Meru Hospital in Arusha, Tanzania. Cradle of Love of contacted to take him into care. He was small and sickly, and although we took him to several Doctors and had him on medication, he did not improve. We had a volunteer nurse working at Cradle by the name of Melanie Fromm, took him under her “wing”. So much so, that she spent two weeks with Tumaini at two different hospitals. The first week was spent at Mt. Meru, however she was not satisfied with the lack of diagnosis, so moved to a training hospital, an hour away, to see if they could find the source of his troubles. He was on IV’s and feeding tube, and slowly began to recover, although we never did get a diagnosis of his problems. 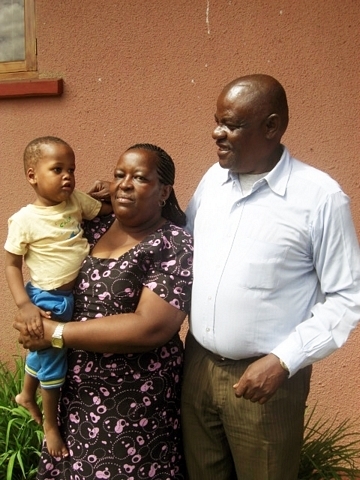 About the time that Tumaini came back from the hospital, my family and I went to the States for our annual leave. I received reports from the Home that he was still improving, but what a SHOCK I had when I returned. Mama Musa took me over to a baby and asked me who it was. I did not know. When she said Tumaini, my jaw dropped in surprise and awe! 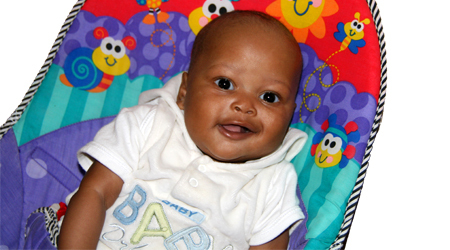 Here was a fat baby, who was smiling and active–nothing like the infant I knew from a couple months ago. There is no doubt, that if Melanie had not taken a special interest in Tumaini and given so much of her time and energy, this little boy would have died! We started calling him “Tuma” and he continued to grow well, started walking and getting in to everything. One happy day, he was identified by a couple who wanted to adopt a child. 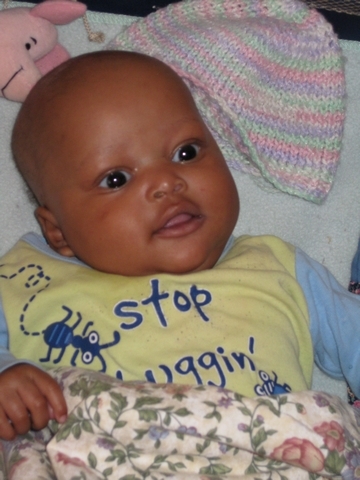 He is now with his new parents and developing in a secure, loving family.